Finally, Johnny has his headstone, R.I.P Johnny……Miss you! 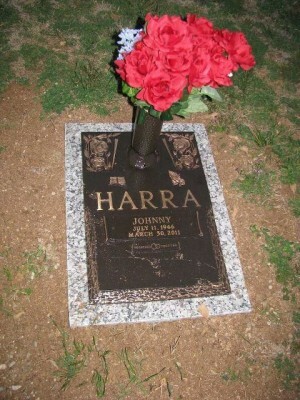 This entry was posted in Johnny Harra, Johnny Harra Photos and tagged Johnny Harra, Johnny Harra's Head Stone. Bookmark the permalink. I like the headstone, it’s simple and dignified.